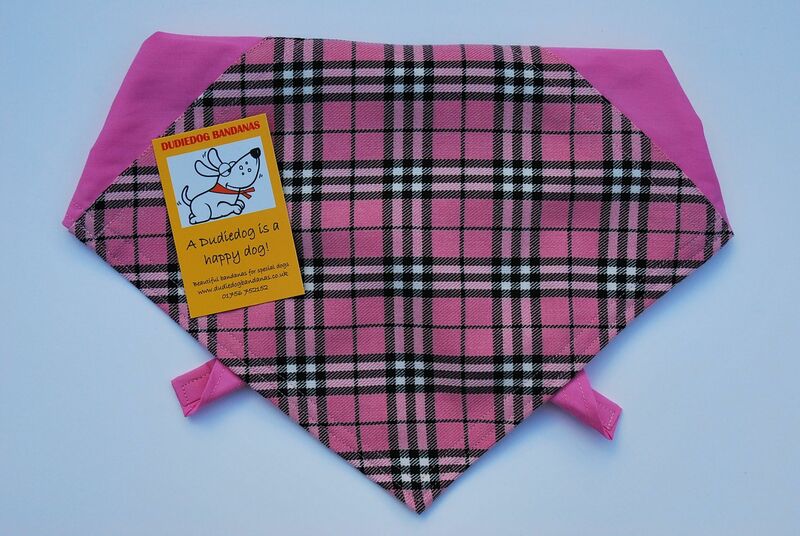 A really smart Pink Tartan Dog Bandana suited to any occasion. 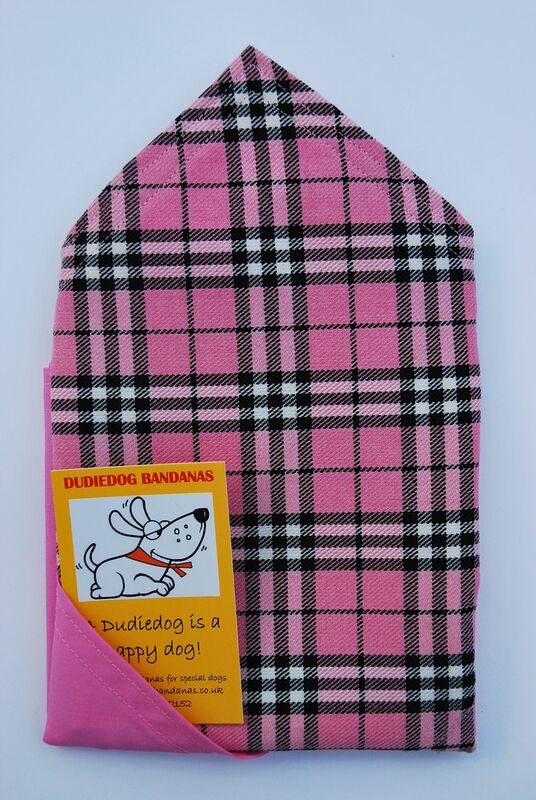 It's perfect for the dog about town, or for weekend hikes in the country, for weddings and parties. 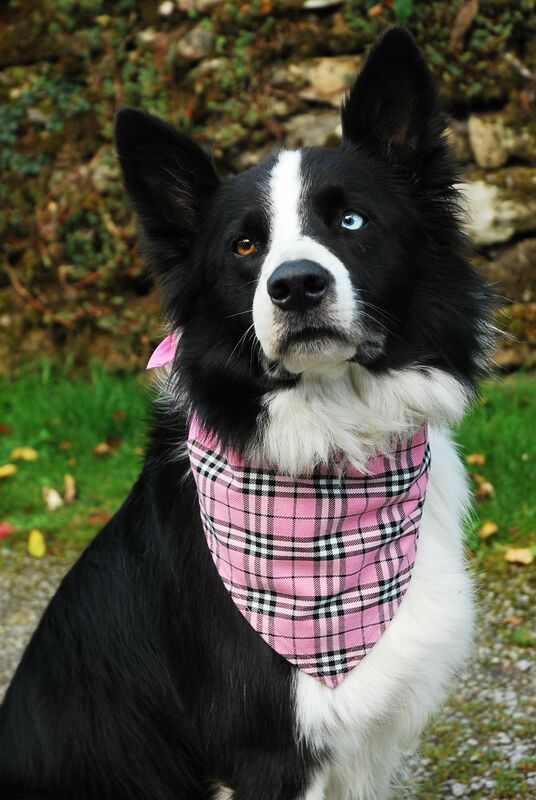 ...a lovely addition to any fashion conscious dog's wardrobe. 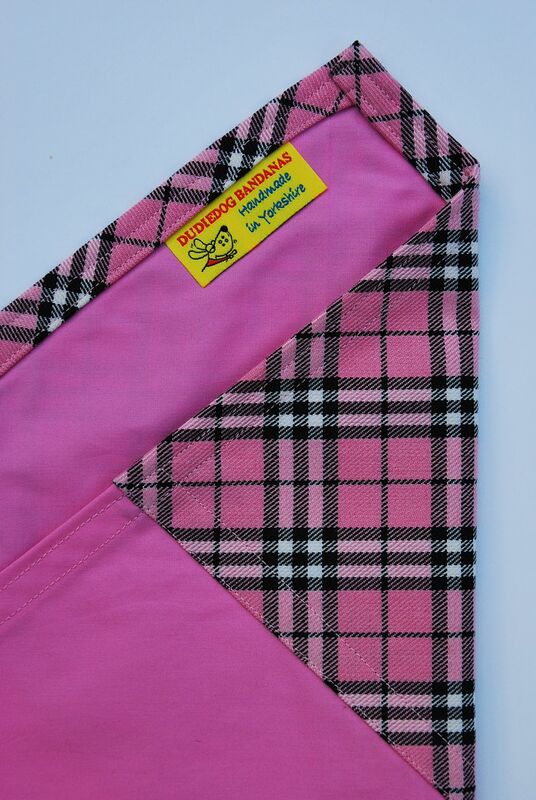 The sides/ties are made of pink 100% cotton fabric and the central panel is a beautiful pink tartan, with a black and white stripe. 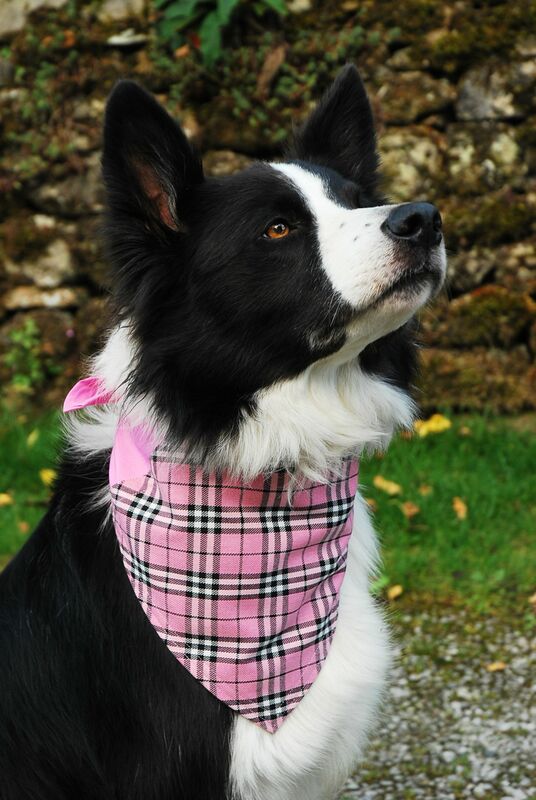 The tartan is a polyester/viscose mix, making this bandana super practical and machine washable.